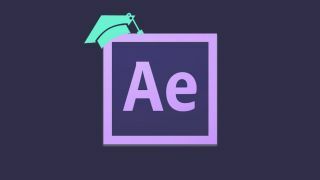 Master Adobe After Effects with this course. What if you could have a career in film without the expensive film school price tag? If you're interested in working behind the scenes in video FX, the Adobe After Effects: The Complete Motion Graphics Course is a perfect first step. This course typically costs $297, but it's now on sale for 93% off at just $18. Behind every cool action scene is a team of motion graphics and video effects artists. If you'd like to be part of the magic, but don't know where to start, this course is great for beginners. Learn how to navigate Adobe After Effects, the best foundation to get you started on the path to a video FX career. Learn how to add layer and work with transform tools, how to create unique shapes with motion and how to use masks, mask animations and 3D layers and animations. The best part? There's no expensive tuition or inconvenient classes to attend. Simply work at your own pace, whenever suits your schedule. The 10 hours of content are available 24 hours a day, 7 days a week. Get Adobe After Effects: The Complete Motion Graphics Course for just $18 here.